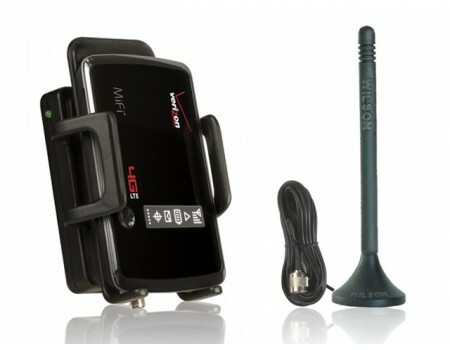 The Wilson Sleek 4G-V for Verizon 4G LTE (815126) has been discontinued. It's been replaced by the new Wilson 460107 Sleek 4G Five-Band Cradle Signal Booster for 2G, 3G & 4G. If you’re looking for a signal booster kit for your vehicle or desk, look no further than the top-of-the-line yet affordable Wilson Sleek series of cell phone signal boosters. 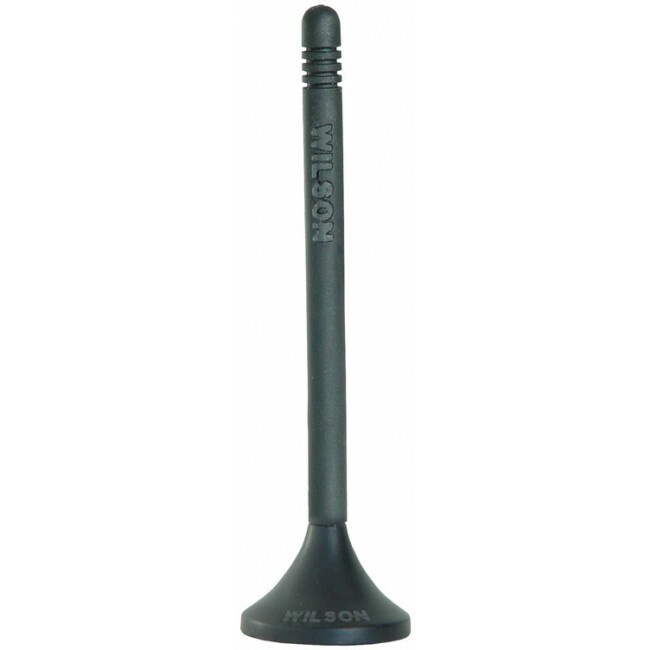 The Wilson Sleek 4G-V works with all major cell phone carriers *excluding Nextel and iDEN, while also supporting Verizon’s fast 4G LTE network. 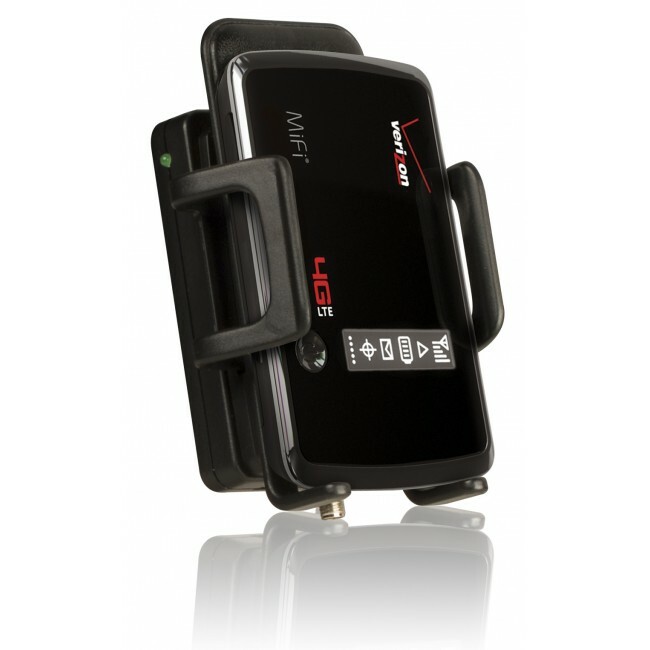 For AT&T 4G LTE coverage, see the Sleek 4G-A. 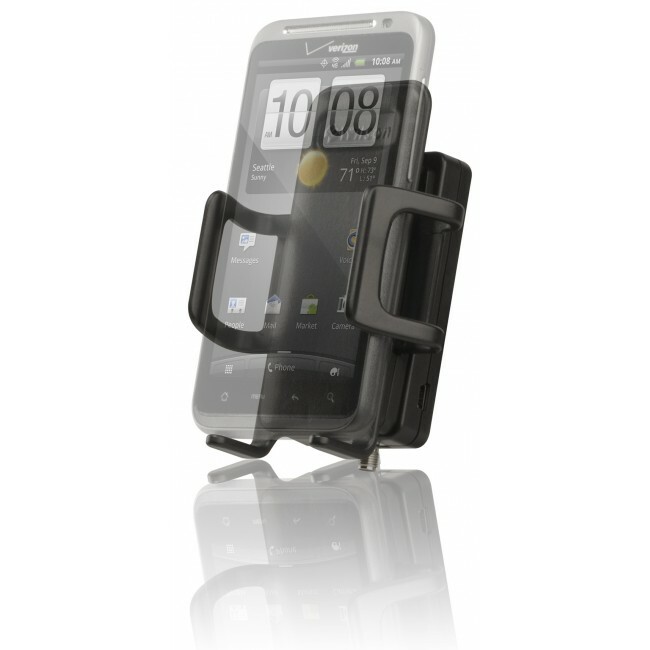 The Sleek 4G-V works with all kinds of cellular devices including phones and mobile broadband solutions like the Verizon Jetpack wireless hotspot. 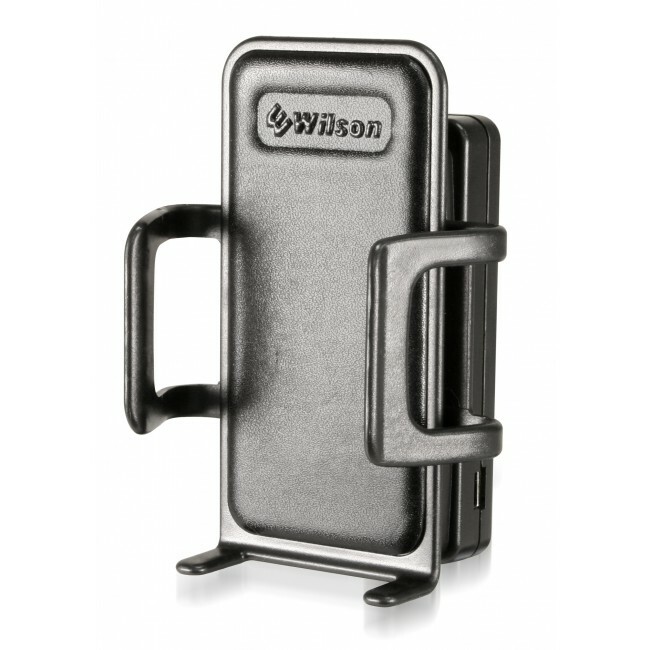 The Sleek 4G-V is designed for a single user and is ideal for use in vehicles or at a desk using the optional Wilson Sleek Home Accessory Kit. The Sleek 4G-V is capable of boosting a cell phone signal by up to 20 times giving you increased coverage, which results in superior call clarity, fewer dropped calls, and faster data speeds. 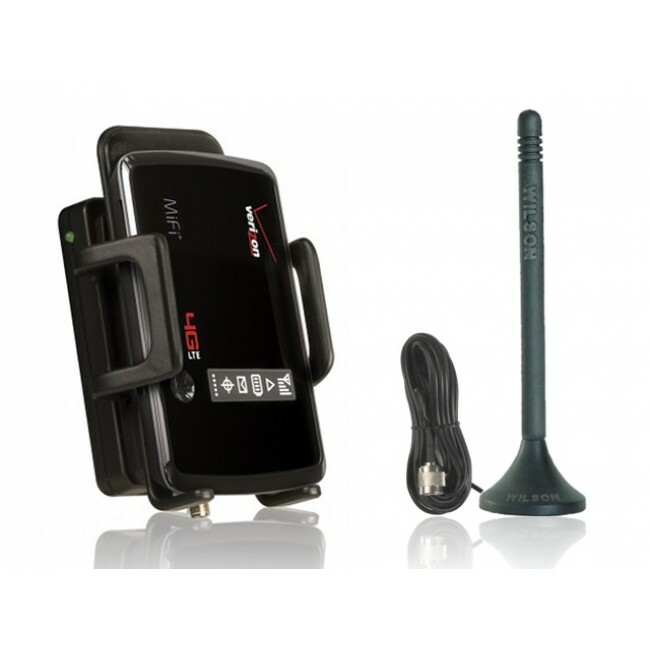 The Sleek 4G-V kit features a built-in antenna as part of the cradle so your phone or mobile hotspot will have to stay in the cradle in order to benefit from the boosted signal. This requires you to use either a headset, speakerphone, or other hands free device while making calls. The Sleek 4G-V also includes a Micro-USB charging port that allows you to charge your phone or hotspot while it’s in the cradle (Micro-USB cable for charging your phone is not included). Cell phone signal problems occur for two primary reasons. Either your phone isn’t powerful enough to communicate with the tower because you’re too far away, or there are obstacles, which prevent your signal from reaching the tower. Cell phones typically only support about 200 milliwatts of transmission power, which limits the distance you can be from the nearest tower. But with the Sleek 4G-V, your cell phone signal can be amplified up to 20 times in both directions (to and from the cell phone tower) making your phone able to receive weaker signals and transmit to more distant towers. This allows you to make calls in areas with a weak signal where you would otherwise experience a dropped call or no data. Wilson’s patented technology dynamically adjusts the Sleek 4G-V’s signal booster to ensure it’s using the right amount of power to communicate with the cell tower without risking overloading the system. This results in fewer dropped calls, increased call clarity and faster data speeds while still being a responsible consumer. The Sleek 4G-V is capable of boosting all major cell phone carriers (except Nextel) and amplifies the signal from the standard dual bands as well as Verizon's fast 4G-LTE network. The Sleek 4G-V installs in minutes and includes everything you need to setup and use the mobile signal booster in the box. There are no special tools or parts required. Just mount the included magnetic antenna on the roof of the vehicle and run the attached cable into the vehicle through the door to the Sleek 4G-V amplifier. The included power adapter plugs into your vehicle’s power port or cigarette lighter and supplies enough electricity to power the Sleek and to charge your phone if connected to the charging port. And because the setup is so simple, you can easily move it from one vehicle to another as needed. For use on a desk or table in a home or office, you’ll also need the Home Accessory Kit. From the home accessory kit, take the window bracket and attach it to a window using the included suction cups. Next place the magnetic antenna on the bracket. Run the coax cable to your desk or table and attach it to the Sleek 4G-V. Attach the cradle to the table-top stand, included in the home accessory kit and finally, plug it in using the AC power adapter, also included in the home accessory kit.